I was an undergraduate astronomy major studying the physics of the “Schwarzschild Black Holes” when I decided to study the laws of the quantum field theory in a black hole’s curved spacetime to round up my education. I really like that it is trying to reconcile quantum theory with gravity which is one of the greatest scientific challenges of our time. These have always been my two favorite subjects. They each have their own regimes of applicability and have issues when we try to push them too far. According to eminent mathematical physicist Roger Penrose, these issues arise in spacetime singularities such as the big bang, where curvatures seemed to go infinity and crushed at a point of infinite density. Spacetime singularities also occur in black holes and they have become a fascinating research area not only because they are a very important constituent of the universe but they also provide a challenging arena in which to probe singularities and explore the challenges posed by the marriage of general relativity and quantum mechanics—the Holy Grail of the Modern Physics. 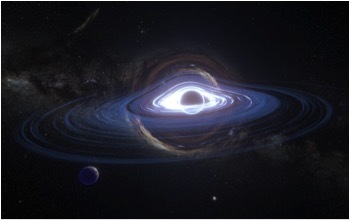 Black holes crop up all over physics and they figured prominently not only in Christopher Nolan’s Interstellar, one of the most scientifically-accurate sci-fi films of all time, but in the era from the mid-1960s to the mid-1970s, during the Golden Age of theoretical black-hole research. In the vanguard of this theoretical black-hole research was a young physicist of growing renown who has been in the forefront not only in the pursuit of unified physics but also one of the most dedicated boosters in the search of the elusive gravitational waves from astrophysical sources such as black holes. His name: Kip Thorne, the Feynman Professor of Theoretical Physics, Emeritus at the California Institute of Technology who is more popularly known in public as the scientific advisor and executive producer of Interstellar. Thorne shared the 2017 Nobel Prize in Physics last week with fellow Caltech physicist Barry Barish and Rainer Weiss of MIT for their contributions to the LIGO detector and for their leading roles in the discovery of gravitational waves, tiny fluctuations or undulations in space-time that are detectable only when the universe’s densest objects – black holes or neutron stars – smash together cataclysmically. And here’s one of the reasons why LIGO’s successful detection of gravitational waves creates such a buzz and excitement in the scientific community: the possibility of reconciling quantum mechanics and general relativity. LIGO’s detection not only presages the future in gravitational-wave detectors but it also caps off a century of speculations, doubts and hard work. Future gravitational-wave observatories with even greater sensitivity may open a new window on the universe and could potentially test ideas about quantum gravity and, maybe, detect primordial gravitational signals from the Big Bang itself, the most eagerly sought-after gravitational waves (not all gravitational waves are alike.) These predictions may open new vistas for science and would tell us very much not only how the universe started but will also unveil the laws of quantum gravity in all their intimate details. Black holes and gravitational waves are just some of Einstein’s incredible predictions decades ago are not only dominating the headlines today but they are also winning Nobel Prizes for other scientists. Case in point: The 1993 Nobel Prize, for example, went to physicists Russell A. Hulse and Joseph H. Taylor for their 1974 discovery of a unique binary system, thereby confirming the existence of gravitational waves indirectly by analyzing the motion of double neutrons. Also, the 2001 Nobel Prize went to three physicists who confirmed the existence of Bose-Einstein condensates, a new state of matter existing near absolute zero that Einstein predicted in 1924 with the collaboration of Indian physicist Satyendra Nath Bose. In 2011, the Nobel Prize went to three physicists who discovered the accelerating expansion the universe—possibly because of a small positive cosmological constant in Einstein’s equation or could involve some mysterious “dark energy,” an invisible energy field pervading all of space. Albert Einstein was one of the greatest scientists of all time, and certainly the greatest physicist of the twentieth century and one of the greatest of all time, a towering figure who ranks alongside Galileo, Newton, Maxwell and Darwin. Einstein was the definitive genius of our age. More than a decade ago, he had topped the Time magazine list of the 100 most influential people of the 20th century and was voted the “Person of the Century” beating the likes of Mahatma Gandhi, Franklin D. Roosevelt, Muhammad Ali, the Beatles, and Bill Gates. Not only did his theories of relativity reveal the esoterica and abstruse bone-jarring concepts of space and time but his unparalleled scientific insights also triggered a cascade of scientific breakthroughs that gave us smartphones, solar power, nuclear-powered plants, computer, laptops, lasers, GPS, fiberoptic communications, CT, MRI and PET scans, Blu-ray players, etc. And here’s another proof of his unparalleled genius from the not-so-distant past: In 1905, a year christened as Einstein’s Annus Mirabilis or Year of Miracles, Einstein published four groundbreaking Nobel-worthy papers as he introduced the idea that light comes in discrete bundles of energy, and used it to understand photoelectric effect; he explained that the zigzag “Brownian” motion of small particles suspended in in fluids is a consequence of collision with fluid molecules, providing evidence for the atomic nature of matter; he invented the Special Theory of Relativity; and he inferred from it the relation between mass and energy in the now-famous equation E = mc^2. Of course, Albert Einstein never fulfilled his dream of unifying the laws of nature—his exotic quest to reconcile his general relativity with Maxwell’s law of electromagnetism because the deck was stacked against him. His search was thwarted on two fronts. First, there were only two known forces of nature known to mankind at the time: gravity and electromagnetism; there are now four fundamental forces in nature—gravity, electromagnetism, and two purely quantum forces that operate inside the nuclei of atoms, called “weak” and “strong” nuclear forces. Moreover, Einstein abhorred quantum mechanics although he was instrumental to its birth and was seeking a purely classical theory—an approach we know to be incomplete or flawed. 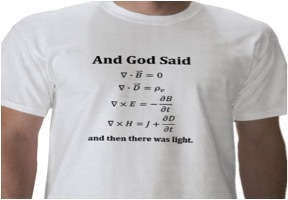 He did not know that the most important unification is with quantum mechanics. Over the course of time, the greatest advances in the history of physics have been marked by unifications: events or discovery of theories that gave explanation of disparate phenomena that had previously seemed unrelated. In the quest for a unified, all-encompassing, and coherent description of all nature – a “theory of everything” – physicists have developed a detailed set of mathematical models of the fundamental forces in the universe and unraveled the mysteries linking perplexing phenomena. And from its earliest days as a science, physics has sought for unity in nature. In the 17th century, Isaac Newton launched a scientific revolution by unifying celestial and terrestrial physics with the law of universal gravitation, showing that the force that makes objects fall is also the force that keeps the Moon and planets in their orbits—what we now call gravity. In the 19th century, James Clerk Maxwell not only worked out the inconsistencies on the equations formulated by Michael Faraday, Henry Cavendish, Charles-Augustin de Coulomb, and Andre-Marie Ampere but he also constructed a consistent set of equations that link two seemingly distinct phenomena—electricity and magnetism—and also predict the existence of electromagnetic waves. In the 20th century, physicists Steven Weinberg, Abdus Salam and Sheldon Glashow had unified electromagnetic and weak nuclear forces to build the so-called “electroweak unification”—the prediction of which have since been verified in particle accelerators and had earned them the coveted Nobel Prize in Physics. And today, all known elementary particles plug neatly into a mathematical structure called the Standard Model of Particle Physics. However, the paradigm-shifting search for unification was triggered in the early 20th century when an iconoclastic young physicist transformed our understanding of the universe. Before Einstein, the greatest unifiers of physics were Newton and Maxwell. With his special and general theories of relativity, Albert Einstein overturned the solid certainty that was Newton’s clockwork and replaced it with a picture that defied common sense. Newtonian mechanics was replaced by relativistic mechanics, and older ideas of absolute time were abandoned. Mass and energy were shown to be interchangeable. His work brought us the famous equation E = mc^2, defined light as the cosmic speed limit, wove space and time into a single fabric called spacetime, showed how apples and planets fall along the fabric’s curves, and ushered in the idea that the universe began in a hot, dense fireball we now call Big Bang. These insights also gave rise to one of the most difficult concepts in modern physics: black hole. This is a great overview of the progression of general relativity (GR) and its applications up to present-day recent discoveries in gravitational waves. I, too, have an undergraduate degree in Physics with emphasis in astrophysics. Though I have never met Kip Thorne, I have met in his office at Caltech with another researcher whose specialty was applying GR to time travel. The researcher’s name is Amos Ori. At the time it was a difficult journey for him, not having any supporters except Kip Thorne. For me GR was and is still the most exciting area of physics. There’s so much yet to learn, and we are in an extremely exciting period in history. And yes, I agree about the accuracy of physics in the movie Interstellar. I look forward to you finishing this article. “This is a great overview of the progression of general relativity (GR) and its applications up to present-day recent discoveries in gravitational waves. I, too, have an undergraduate degree in Physics with emphasis in astrophysics. Though I have never met Kip Thorne, I have met in his office at Caltech with another researcher whose specialty was applying GR to time travel. The researcher’s name is Amos Ori. At the time it was a difficult journey for him, not having any supporters except Kip Thorne. I thought perhaps the awarding of the 2017 Nobel Prize in Physics inspired you to write the article above. Anyway, you may have read about this, but there’s yet another exciting piece of news pertaining to gravitational waves — the detection of light *and* gravitational waves from two colliding neutron stars! The light was detected on August 17th, though the announcement was made on October 16th. Heres’s the link. Hey, Anthony, nice to see you here, and with something other than our usual topic here. Mindblowing, and I do wonder if we’ll find that bridging of quantum mechanics and relativity in our lifetimes. Hey, Chino, how have you been my good friend? Haven’t talked to you in a long time. Yeah, hopefully, gravitational will unveil the laws of quantum gravity in the next few years with future gravitational-wave detectors. Nice to hear from you. Thank you for such PhD Thesis in AstroPhysics. We hope that this generation of Filipinos will be more interested in the study of Science and Technology. Than, giving their great efforts in politics. The articles is too broad in range. I will just touch on Black Holes. Black Holes is a region in spacetime exhibiting such strong gravitational effects, that nothing …not even particles and electromagnetic radiation such as light can escape inside of it. 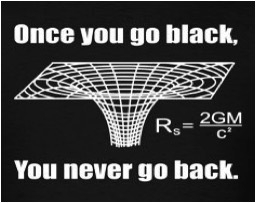 The Theory of General Relativity predicts, that a sufficiently compact mass can deform spacetime to form Black Holes. The boundary of the region from which no escape is possible is called: event horizon. Electromagnetic radiant energy are : radio waves, microwaves, infrared, visible light, ultra violet rays, x rays and gamma rays. Higgs boson ( God particle) , higgs fields are different from electromagnetic fields. In our country, we have “Black Holes”, in the form of crooks and crooked politicians. We have Porky Drilon “Black Hole”, DAP, PDAF, Pork Barrel, etc… the money did not escape from the “Black Hole” of Porky Drilon. We have Congresspeople and Senators “Black Holes”…the money given to them, did not escape their “Black Hole” pockets. I believe the Batasan Pambansa is the region of “event horizon”… Any government money , that comes near it, cannot escape ! “Black Holes” are common in Tarlac, the Home Province of the Aquino Cojuangco family. The “Katipunan” Revolutionary Treasury Fund, in the form of gold and silver coins; were swallowed in Ysidra Cojuangco and Gen. Antonio Luna’s “Black Holes”. Almost 70% of the land area in Tarlac, was swallowed by this “Black Hole”, that resulted to the : Hacienda Luisita. Not only in outer space, we have these “Black Holes”; we have them in the Philippines ! Inside every black hole that collapses may lie the seeds of a new expanding universe.